Why would I need self storage in Shelby Township, MI? There are a variety of reasons why you might need self-storage in Shelby Township, MI. How much is a storage unit in Shelby Township, MI? The cheapest storage unit in Shelby Township, MI is $156.00 per month. What size storage units do you have available in Shelby Township, MI? In Shelby Township, MI we have sizes that range from 10'x20' to 10'x25' to suit your storage needs. How much is it for a 10'x20' storage unit in Shelby Township, MI? The cheapest 10'x20' storage unit in Shelby Township, MI is $156.00 per month. Located in Macomb County, Shelby Township is a large community located just 30 miles north of Detroit. 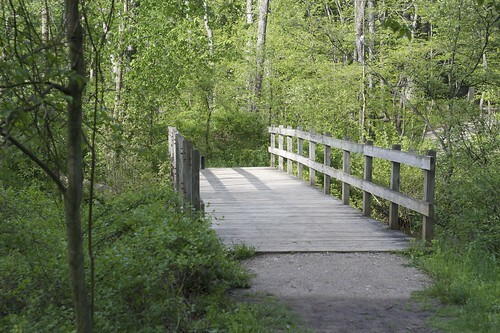 Shelby Township is home to a growing population of locals who enjoy over 1,000 acres of parkland, hundreds of miles of trails and highly desirable residential neighborhoods. The township's earliest settlements date back to 1822, and its local government dates to 1827. The community grew slowly in its early years, adding a school in 1871 to accommodate the families arriving to the area. Until the turn of the century, the township was mainly rural. Two villages within its boundaries, Utica and Disco, were the main areas of activity, but even those were fairly quiet. The community became known for growing wheat and began to grow more rapidly with the arrival of the railroad. In the early- to mid-20th century, Shelby Township was known as the location of the Packard Proving Grounds, where the Packard Motor Car Co. tested and timed vehicles on tracks and in various conditions. In 1978, the community officially became the Charter Township of Shelby. Shelby Township and the Detroit metro area welcome businesses in a wide range of sectors, including manufacturing, health care, education and professional services. The largest employers in the area are automakers General Motors, the Chrysler Group and Ford Motor Co. The federal government, Macomb County government and the state of Michigan also provide many jobs in the area. If you have a health care background, you may be able to find work at local facilities like Henry Ford Health System and St. John Providence Health System. Shelby Township also welcomes new businesses by offering training and workforce screening programs as well as straightforward highway and interstate access to the rest of the Detroit metro region. Students who live in Shelby Township typically attend one of the Utica Community Schools. The district is known for its high ACT scores and its center for math, science and technology. Utilities: DTE Energy supplies Shelby Township and many surrounding communities with electricity. The township utilities department facilitates water and sewer services. Garbage and Recycling: GFL Environmental Services provides curbside collection of trash and recyclables. Transportation: Like most of the Detroit metro area, Shelby Township receives transit services from the SMART bus system. For the most affordable homes in Shelby Township, you can look along Schoenherr Road or in the southwest corner of the township. The area's priciest homes tend to be near Clear Spring Lake and between 24 Mile Road and 25 Mile Road. Whether you're planning to rent or buy a home, you should expect to pay more in Shelby Township than you would in most areas of Detroit. Our lowest priced units in Shelby Township, MI average $156.00 per month. 28 people have reserved units in Shelby Township, MI in the past 30 days. There is 1 location within Shelby Township, MI's city limits.